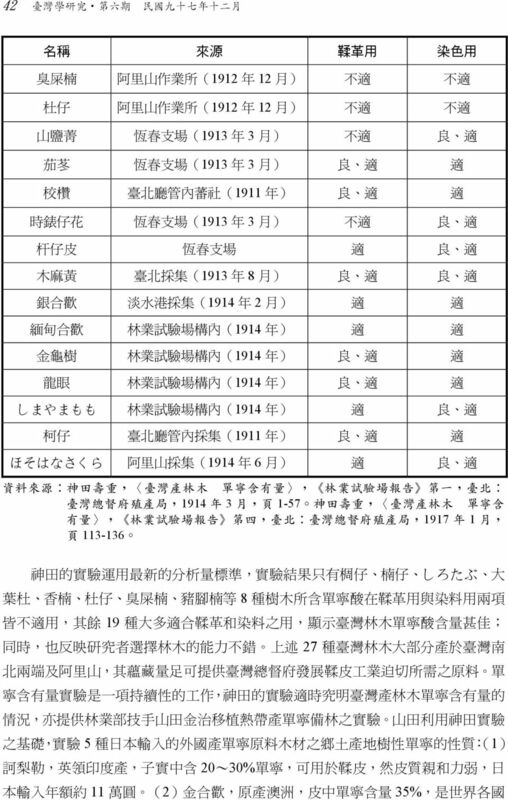 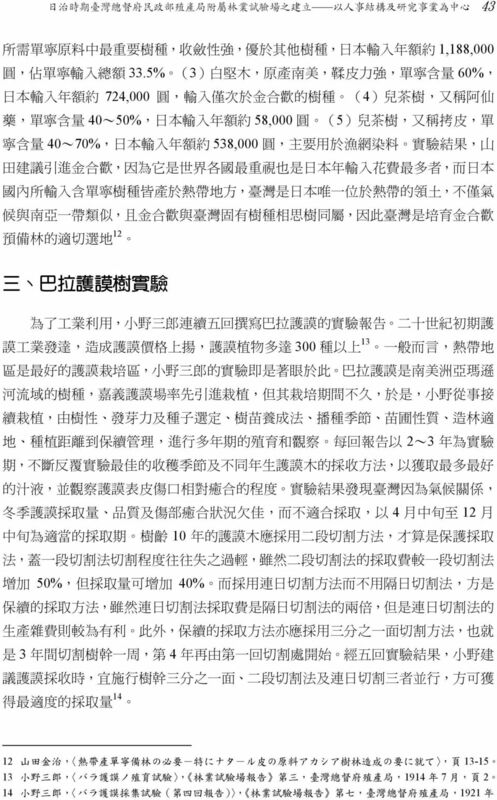 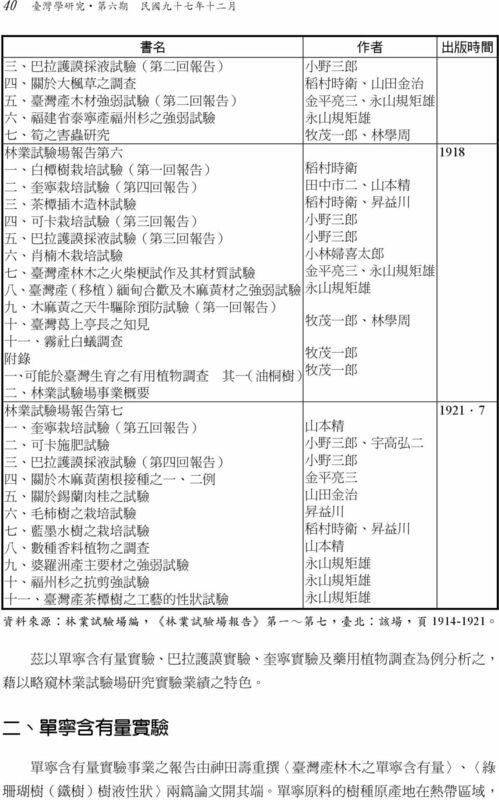 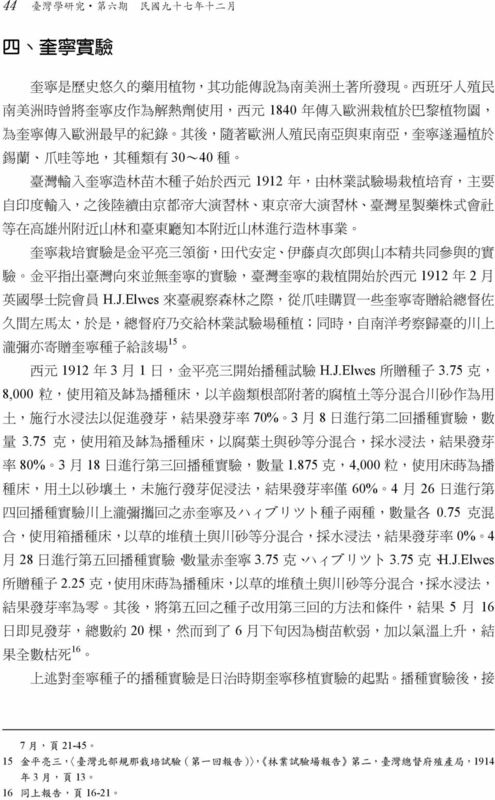 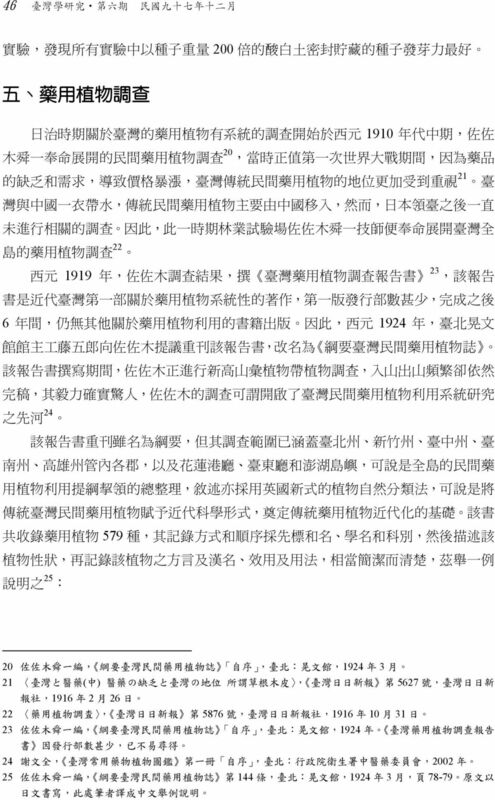 25 Research in Taiwan Studies Vol. 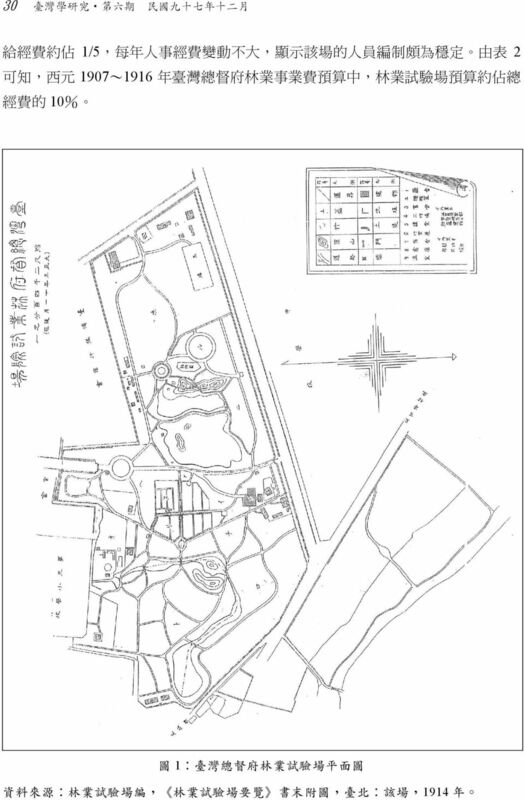 6, pp27-52, December 2008 National Taiwan Library The Establishment of the Forestry Experimental Station of Taiwan Government-General during the Period of Japanese Colonial Rule Wu, Ming-Yung * Abstract This article provides a preliminary description of the main points of the establishment of the Forestry Experimental Station of Taiwan Government-General, as well as an analysis of the station s personnel structure, endeavoring to explain its historical role in the development of forestry research during Japan s occupation of Taiwan. 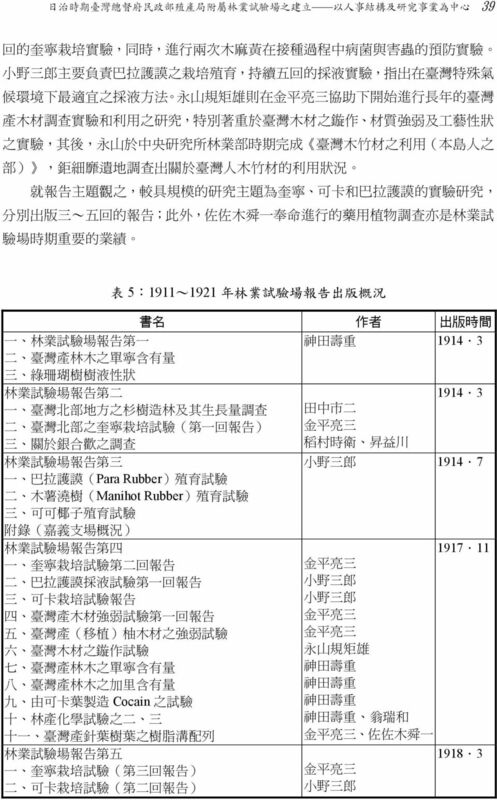 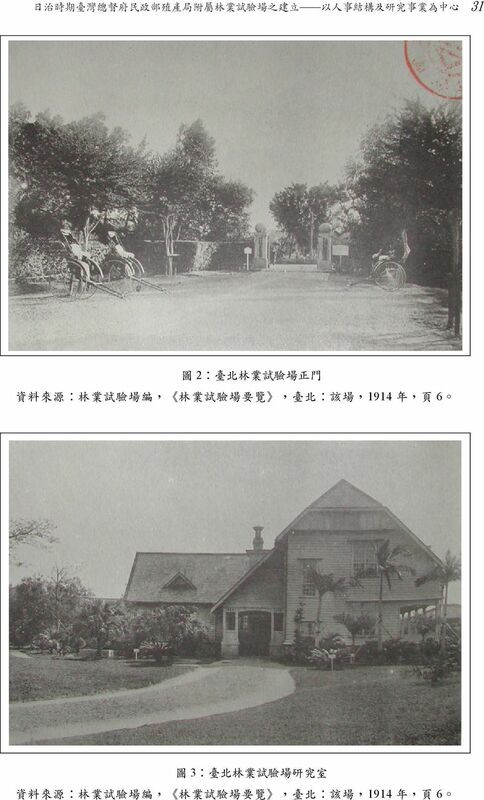 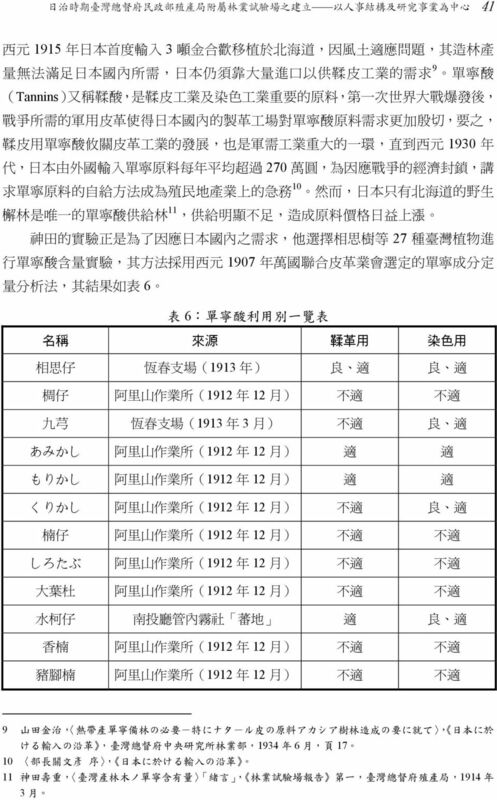 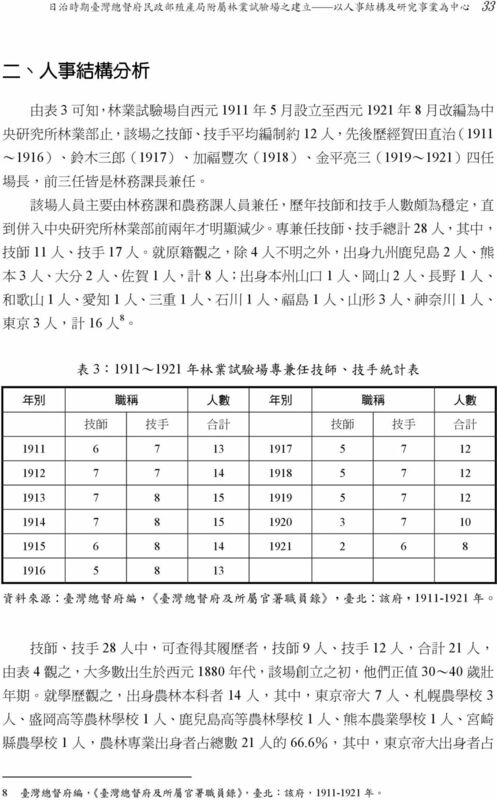 The Forestry Experimental Station not only retained the Taipei Nursery s traditions, but also inherited its research subjects, continuing to deepen and expand, which allowed forestry studies to develop steadily and strongly during the period of Japan s occupation of Taiwan. 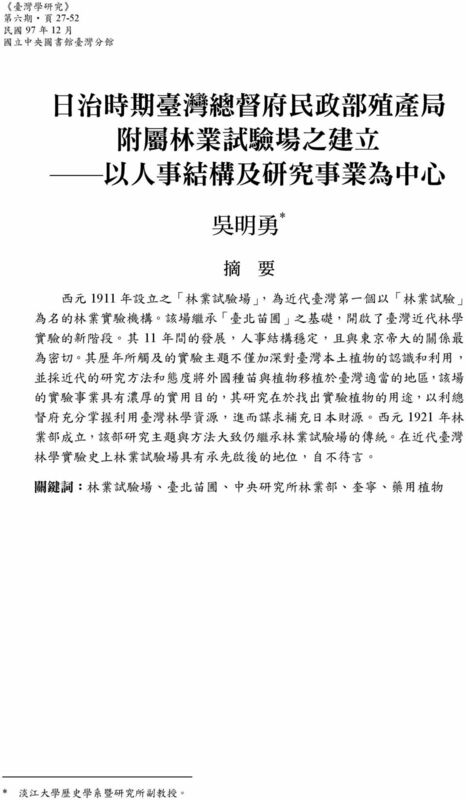 Therefore, as far as academic history is concerned, the establishment of the Forestry Experimental Station truly has historical significance in its example of adopting the teachings handed down from the past as well as opening new frontiers. 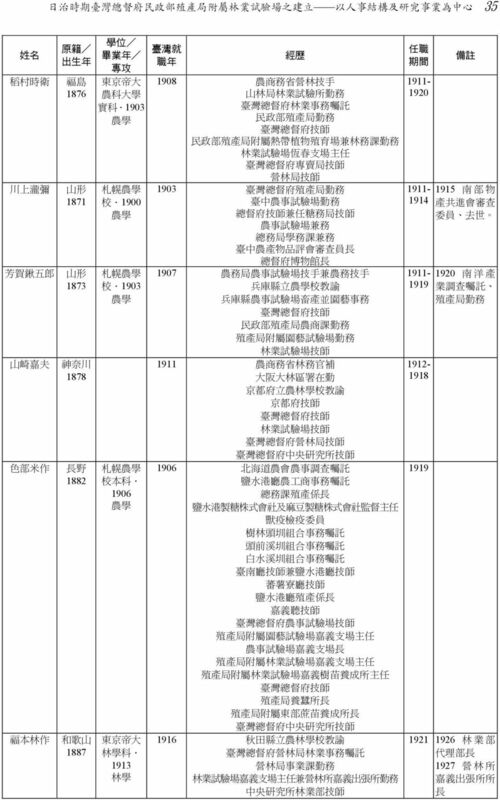 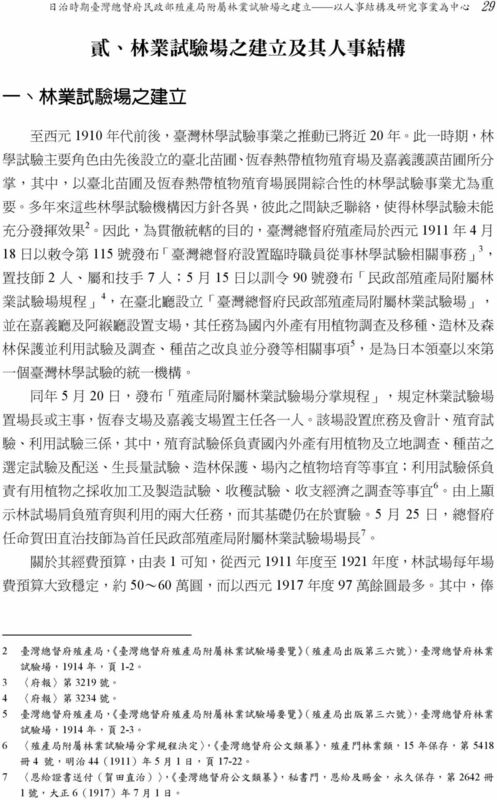 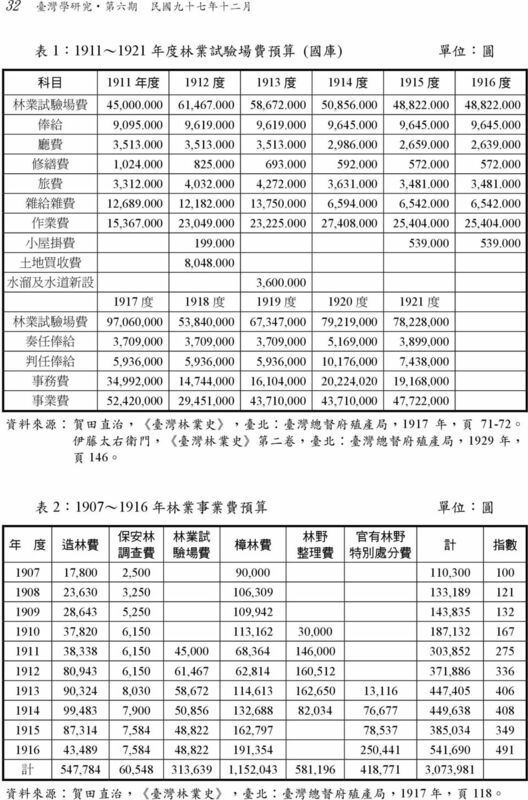 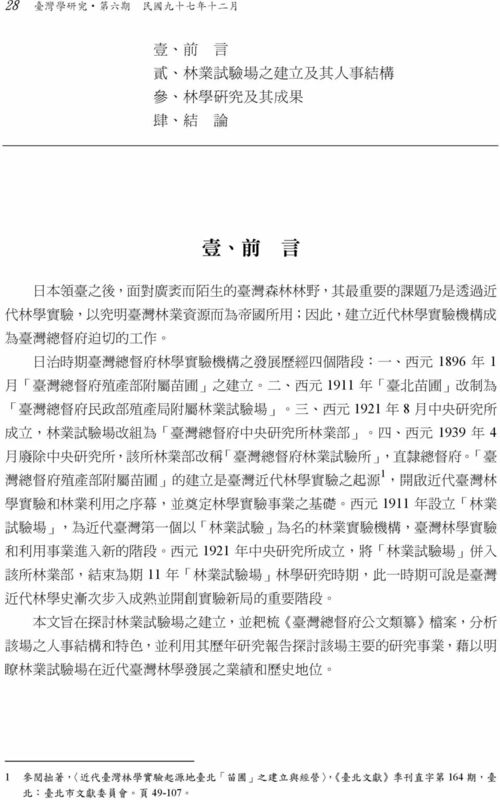 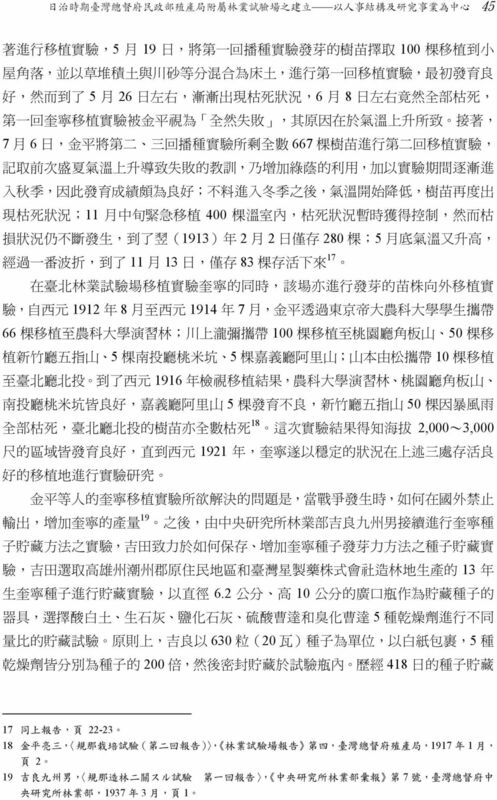 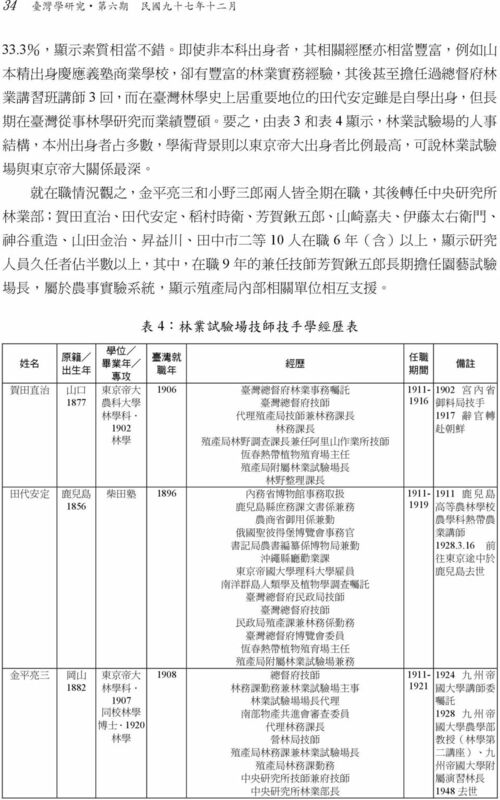 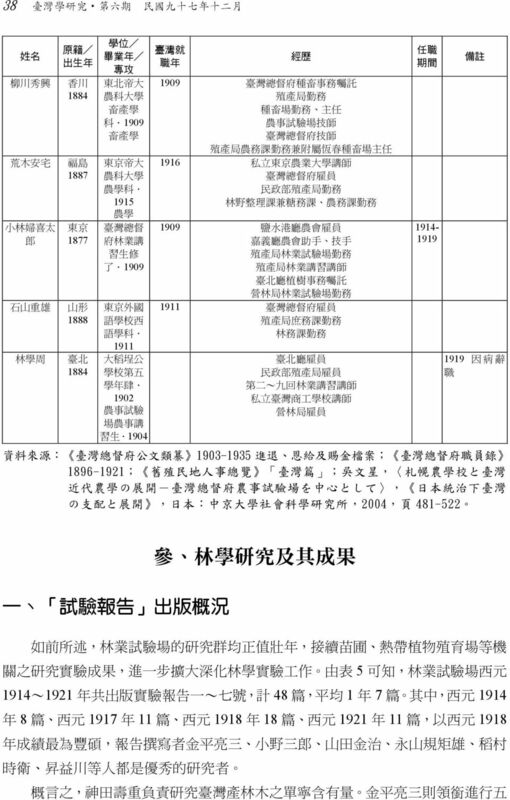 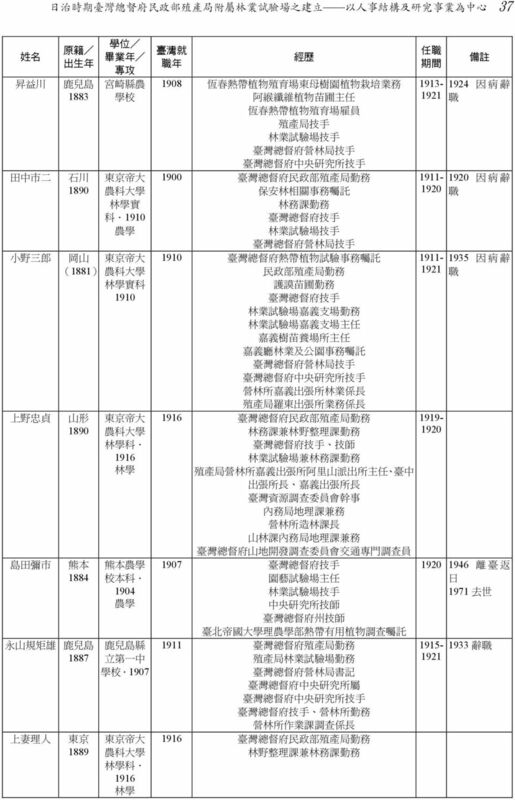 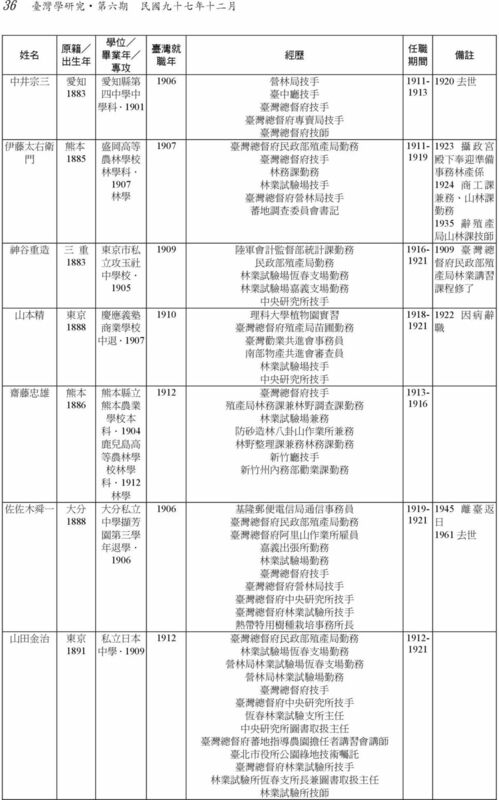 Keywords The Forestry Experimental Station, Taipei Nursery, Department of Forestry of the Central Research Institute, Quinine, Herbs * Wu Ming-Yung, Associate Professor, Department of History, Tamkang University.